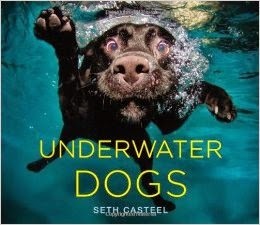 Seth Casteel is an award-winning photographer and the author of the New York Times best selling books UNDERWATER DOGS and UNDERWATER PUPPIES. Seth lives in Venice, CA. He loves 80's music and is a fan of the DeLorean automobile. He plans to one day go back in time, and change nothing. His rescue dog, Baby Nala, has accepted the fact that she will be photographed every single day. 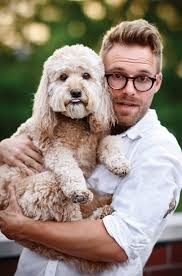 People often say that Seth and Nala have similar hairstyles. To tell a story and to create awareness through a single picture. 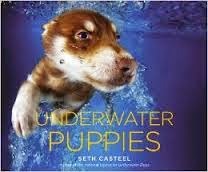 How was UNDERWATER DOGS born? 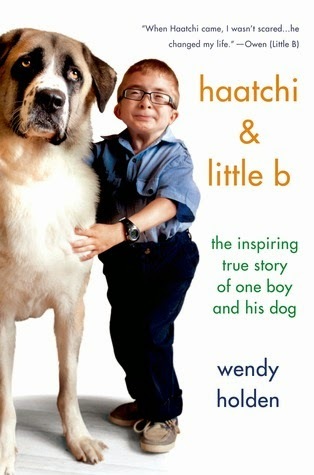 See the “about Seth” page on my website. Take chances and pursue a subject that you are passionate about! I have a secret obsession with dragonflies! Gender equality has always been an important issue to me. You see bias (of all types and directions) everywhere, but I feel infuriated when sexism sneaks up on me in what I hoped would be a relaxing read. 3. ...about something other than a man. My first reaction to this was: That’s all? Yet statistics on how many books, and especially how many movies, fail this test are shocking...which means we’re still reinforcing unvoiced messages that women don’t have or deserve a voice. Any woman, and I should hope most men, know women talk about plenty of other things besides men: non-romantic relationships (friends, family, co-workers), intellectual discussions, aspirations. The list is limitless. So why does the scope of women’s conversation in some stories feel so limited? A story can pass the Bechdel test and still contain sexist content or messages, but it's a fast, easy way to take stock of how frequently women are dismissed in fiction. So next time you read a book, see a play, or watch a movie keep in mind the Bechdel test. Even stories I've loved sometimes fail this. I rarely enjoy something without any female characters, but you would be surprised to count up how many feature only one prominent woman among a cast of men. GEOGRAPHY OF YOU AND ME is a sweet, smart young adult romance about when the right person is in the wrong place. Teenagers Lucy and Owen meet on a stopped elevator during a citywide blackout. Once free, they spend an unlikely, unexpected, and unforgettable night together. Before they even have a chance to explore the possibility of a relationship, life pulls them in different directions with Lucy moving to Europe and Owen embarking on a road trip with his father. Time ticks by as Lucy and Owen carry on with their separate lives, date other people, and barely keep in touch. Neither forgets about the other, though. Neither stops wondering and imagining. I love a good romance...but I’m a very critical romance reader. For starters, I can’t care about a relationship until I care about both characters as individuals. Lucy and Owen are both likable leads, hailing from very different backgrounds and yet finding that common ground. Owen’s mother recently died. Now Owen and his father are barely scraping by, both financially and emotionally. Lucy, on the other hand, has everything she could ever want financially, but her rich life is rather lonely. Her parents travel constantly, never taking her with them. I related to Lucy especially, since she’s a bookworm. I appreciated Smith’s portrayal of an introverted bibliophile. Lucy isn’t a social outcast; she chooses books and quiet over parties and popularity. Though I found a few metaphors distractingly cheesy, for the most part I loved the writing. Smith crafts distinct, realistic voices for each character. Both dialogue and inner monologue feel natural whether we’re following Lucy or Owen. Also, while they’re mature teenagers, Lucy and Owen definitely feel young: uncertain what they want or what life has in store for them, brimming with emotions, and quick to act or speak on those emotions. The ending fell a little short of what I wanted, but I think Smith set quite the challenge for herself with this type of story. 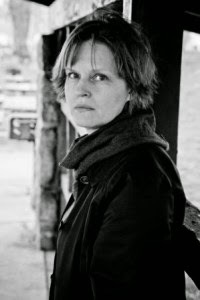 Young adult romances are particularly difficult, because authors struggle finding balance between that nice happily-ever-after feeling and “settling” their characters too young. Though not quite perfection, I think Smith found a fulfilling spot between frustratingly lacking closure and tying everything up too neatly. Along the same lines as the Darwin awards, this book is perfect for comedy fans who enjoy laughing at the stupidity of others. Like, for example, the fleeing criminal who repeatedly called 911 during his high-speed chase so he could demand the operator have the police stop chasing him. There’s a lot of overlap when it comes to categorizing these anecdotes. Some quick labels immediately pop to mind: crazy, high, unreasonable, and stupid. Now I don’t find stories about someone who obviously isn’t in their right mind doing something ridiculous particularly funny - too sad if you really think about it. And instances where someone is high are boring in my opinion, because, well, that’s what happens when you’re high - so no surprise. Then there are the unreasonable and or plain stupid 911 calls and, yeah, I find both of those types pretty amusing. Unreasonable like the woman who calls to say a snake bit her and asks the operator if the snake is poisonous; she doesn’t provide any actual description about the snake but grows increasingly frustrated that the operator can’t just tell her if it’s poisonous or not already. And stupid like the woman who calls in a biohazard team when she sets her mail down on her kitchen table and a letter promptly turns from yellow to brown. Turns out that’s what happens when you put a letter in coffee. There’s also a fair number of people who need to hear the definition of “emergency”. Such as the person who called 911 when someone took a bite out of her sandwich. Or another man whose false teeth don’t quite fit, so he calls 911 for some assistance. 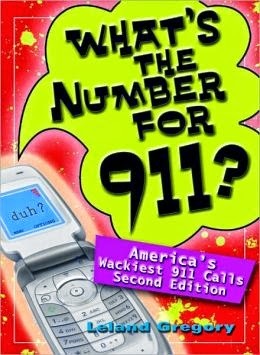 Some people clearly think 911 is equivalent to 411, just another information service. Like the woman who calls 911 to ask when the fourth of July parade will start or the man who calls for some advice on navigating around dead stop traffic. 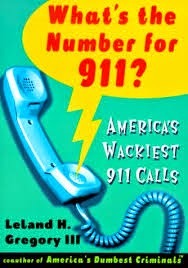 More amusing, though, are those who think 911 is some kind of general public service for anyone and anything. One man called when he saw a snow plow in town to ask 911 to send the snow plow over to his house. Another couple called 911 to request fresh towels for their hotel room. While reading is usually a solitary hobby, these kinds of books are fun to flip through with someone else. In all seriousness, though, I now have the utmost respect for 911 operators. 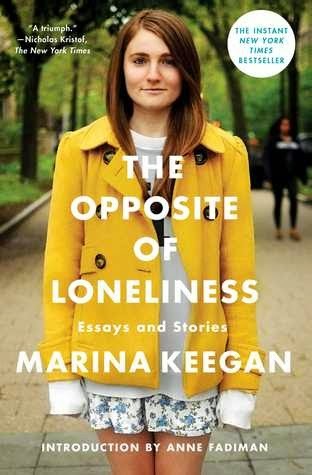 I went into this collection of short stories with no preconceptions, based on a recommendation alone. Honestly, I prefer that, when my reading experience is tainted with as few expectations as possible. I have two favorites from the collection (and it didn’t escape my notice that the ones I enjoyed most are the ones staring a child and teenager respectively). In both “Computer Friendly” and “Nirvana High”, Gunn conceives futures that don’t feel so far fetched. “Computer Friendly” gave me chills when a classmate tells young Elizabeth that her parents are sending her to sleep because she’s defective and that way they can try again. The reader will likely be ahead of little Elizabeth in reaching conclusions, but it’s realistically painful watching someone so young look into and figure out her new friend’s unsettling words. “Nirvana High” stars teenage Barbara who has predictive powers but no control over the future she sees. The story opens with her vision that her favorite teacher will die trying to perform an advanced feat and then follows everyone’s reactions to the teacher’s death including the speculation about accident vs. suicide. The story features intriguing worldbuilding that suggests we’re only seeing the tip of the iceberg. “Contact” feels both familiar and yet still original. As the title implies, it’s a first contact story where two cultures and, hence, perspectives collide, but each gains a subtle widening of their outlook from their interaction. I also really enjoyed “Spring Conditions”, a super creepy story where unexplainable things start happening on a couple’s ski trip. However, Gunn opens “Spring Conditions” with layered characters and then doesn’t do much to explore those layers, which naturally frustrated me as a character-fixated reader. I couldn’t help reading this story as a metaphor, though from the author’s note I’m not convinced that’s what she intended. Also the ending lacked power, kind of trickling off without feeling like an actual conclusion. “Friends” is a weird and funny story that trivializes the dramatic and makes the absurdly fantastical mundane. I found “Coming to Terms”, about a dead father who wrote inscrutable notes in the margins of his books, underwhelmingly tantalizing. In other words, thought provoking, but Gunn doesn’t push those thoughts very far. There are also a few short, silly stories including “The Sock Story” and the satiric “Ideologically Labile Fruit Crisp”. Perhaps merely due to its placement as the first story (not to mention featuring in the title), I had the impression that “Stable Strategies for Middle Management” is Gunn’s most popular work here. However, my reaction to that one was rather “meh”. It has potential, but I felt that potential wasn’t pushed hard enough to garner my interest. As I’ve grazed against saying outright, I thought Gunn’s endings overall lacked power. I enjoyed most of these stories and especially liked a couple, but for almost all of them I felt some level of dissatisfaction with the end. I also want to specify that science fiction readers are probably more likely to enjoy this collection than fantasy as Gunn’s stories lean in that direction. Many reviews include a simplified rating for the book. 3 stars, for example. A summary of how the reviewer perceives the book’s worth. Of course, it doesn’t have to be stars. I follow a book blog that uses teacups instead of stars, a quirk I find endearing. When I started reviewing books, though, I knew unequivocally that I didn’t want to include ratings. I have two main reasons. First, while I understand how simplifying your assessment can be helpful, I value books and stories too much to do so. All the details are important to me. I don’t want to say, “I liked it.” or “I didn’t like it.” For one thing, I’m an analytical reader and - while I often have an overall opinion of a book - there are usually both aspects I like and aspects I don’t like about a book. Even with books I adore, I might have a small criticism here or there. A huge part of why I’m so addicted to reading is because I love how stories provoke deeper thinking, discussions both between different people and within yourself. I might have far more positive than negative feelings towards a book, but a simple “I enjoyed it.” cuts off potential conversations about what exactly I enjoyed, not to mention what I didn’t. I know a rating can be in addition to a review, but it’s the review - the specifics - that I care about. 5 - ADORED IT! AMAZING! I remember meeting a writer at a conference who told me that whenever she sees a 4-star rating of one of her books she wonders why the reader didn’t like it. But 4 stars is a good rating! I thought. In fact, I think 3 stars is a good rating. Unfortunately, interpretation of rating systems is highly subjective. Further conversation with the author made me realize that she thinks of 5 as the starting point for a book, with stars being subtracted for everything the reader doesn’t like. I think of 3 as the starting point. 3 stars means it’s a good book. 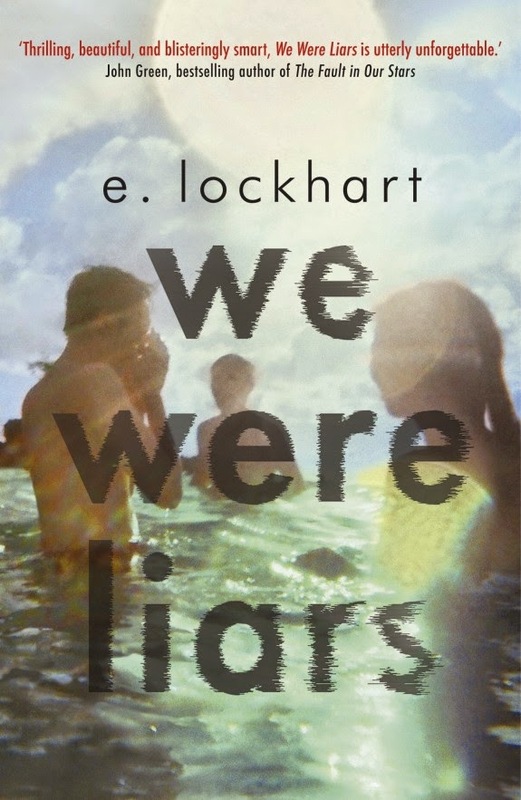 My rating lowers the more I find that I don’t like, but I only rate higher if the book particularly impresses me. I can read a book that I enjoy, but it doesn’t in any way push the envelope. Those 4th and 5th stars have to be earned. I’m not planning on introducing ratings to my reviews, but I think this is an interesting discussion. Are you an easy rater or a hard rater? Do you find ratings helpful? STARTERS possesses a unique and intriguing premise that pulled me in before I so much as opened the book. The novel delivered! The story takes place in a post-apocalyptic futuristic world full of fancy technology...but also consequences for such technology. Bio-warfare led to the mass extinction of every human between 20 and 60 years of age, leaving only two groups: the young and the old - or starters and enders. Starters with an ender grandparent still alive to claim them live safe, secure lives, but those teenagers and children who lost their parents and have no living ender relatives are left to fend for themselves. Teenager Callie takes care of her little brother Tyler with her best friend Michael, but they can’t go on much longer squatting in abandoned buildings, running from ender officials, and barely scraping by for food. Tyler’s sick and Callie knows he needs a better life. Which is the only reason she even considers signing a contract to rent her body. Technology has progressed to the point that scientists can implant a computer chip into two people’s brains, essentially put one to sleep, and let the other experience life from the first person’s perspective. Of course, these kinds of developments are always driven by money so the business model that emerges is one where young teenage starters desperate for money rent out their bodies to rich, bored enders desperate to experience youth again. Callie knows how creepy, suspicious, and dangerous this sounds...but she’s out of options and they’re offering a big payout. Unfortunately, things turn out to be more complicated than going to sleep, waking up a few days or weeks later, and collecting her money. Much more complicated. I found the characters believable and likable, especially our heroine Callie. She has a good head on her shoulders and I particularly like that in teenage girl characters, who are often portrayed as single mindedly fixated on romance. Of course, Callie has emotions and mood swings and romantic drives, but she always draws herself back to the most important issue at the moment and will mentally kick herself if she realizes she’s sulking, wallowing, etc. The book is wonderfully written as well. I break down strong writing into two groups: writing that’s good because you keep noticing it and writing that’s good because you don’t notice it at all. This is the latter kind of good writing, the kind that turns invisible and fades away so you completely forget you’re even reading words and only think about the characters and the story. Occassionally, I wished for certain information sooner than the author provided it. We’re in Callie’s perspective and sometimes I wanted to know more than she did rather than participate in her uncertain search for answers. In general the plot seems to be arching across multiple books more than this one. There was a slow build up to the “real” problem. (Callie has plenty of problems, but any perceptive reader still knows things are about to get even more complicated than she expected.) Then the book really picks up about halfway and doesn't slow very much for the end, which lends to the feeling that the plot is still arching high across the series as a whole. I would call STARTERS a plot driven novel. That’s not detrimental to the character development in this case, but a fast pace and unexpected twists definitely provide the primary momentum for this story. I really enjoyed the themes that emerge from this world’s dynamics, mostly class and power. Nothing new, I know, but always worth discussing. Callie learns some perilously important information, but as long as she holds so little power in this world there’s not much she can do. She’s young, she’s poor, and she’s not connected. She might have the answers to save the world, but it won’t do much good if no one will listen to her. In the first book in this series Chainani took a close look at good vs. evil. Now we’re back, but this time we’re looking at boys vs. girls. At the end of the last book, Agatha gave up everything for Sophie...but now she might regret that choice. Her combination of cynicism and loyalty wouldn’t let Agatha neglect her best friend for a prince and some vague concept of happily-ever-after. Except now her mind wanders to what ifs. They’re safely back in their hometown, but home - though familiar - is no happily-ever-after. 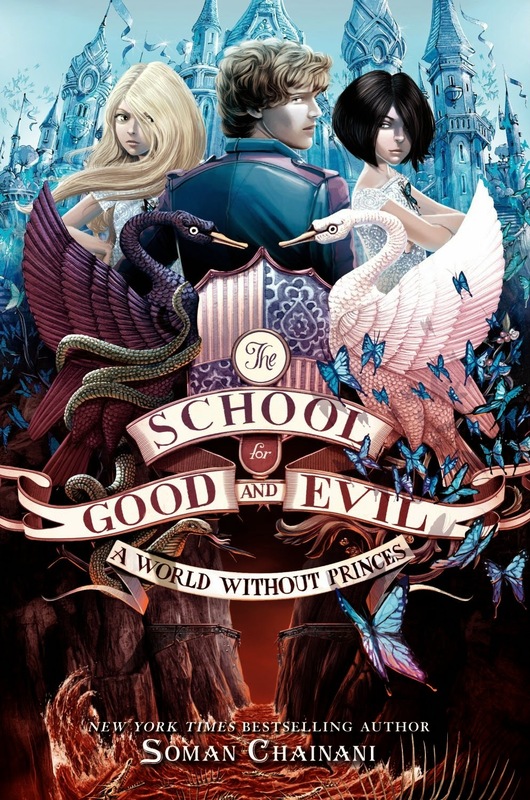 When Agatha recklessly wishes she had chosen her prince instead, the girls find themselves swept back to the schools...well, not the schools for good and evil anymore. After Agatha ignored the standard rules for fairy tales and focused on helping her best friend instead of getting the guy, she unintentionally revolutionized the fairy tale world. Aside from all the potential discussions about boys vs. girls issues, I adore what this twist says about the open interpretation of art, especially stories. Agatha assumed she sent a good message with her chosen ending: I won’t sacrifice my friend for a boyfriend. Yet everyone still misinterprets her message in a sexist way. The problem isn’t Evil - or Good, the girls - princesses and witches alike - start thinking. The problem is boys. Boys sweep in and tear princesses away from friends, from family, from their own goals. Boys take all the credit and claim the girls as prizes. Incensed by these thoughts, the princesses kick the princes out of the school for good while the witches kick out all the male villains from their school for evil. Girls from good and evil alike band together and banish all males (including the male teachers) to the dangerous woods while every fairy tale is rewritten for a “You go, girl!” type feel that grants girls the spotlight only by shoving boys in the shadows. As with the first book, there’s a plethora of engaging themes worthy of extensive discussion. The good vs. evil debate continues into this second book while the dynamic change invites new conversations. I particularly like the ongoing concept that everyone thinks the story is their story. Innate evilness varies from villain to villain, but most only zero in on a nemesis because that supposed “good guy” is keeping the supposed “bad guy” from their own happiness. I frequently found myself surprised by how far along I was through the book; it felt like I had read so much less. Being a fast read serves as both a strength and weakness, though. Sometimes the story moved too fast, in my opinion, and I didn’t have enough time to buy into new plot developments or shifts within relationships. Along these lines, there’s a lot of filler in the first half. I often skimmed the pages for the actual content: dialogue, actions, developments that move the story forward rather than add ink to a page. Some of the action near the beginning felt pointless to me, like a forced effort to keep the book fast paced, too hurried and confusing to hold my attention. There’s also a bunch of overdone seesawing. By seesawing I mean when a character keeps going back and forth, back and forth, back and forth in their perspective on something or someone. (I love him. I hate him. I love him. I hate him. She’s good. She’s evil. She’s good. She’s evil.) Back and forth bores me. Perhaps because character development is my number one draw towards stories, I like to see some actual momentum in how someone’s outlook changes. Seesawing isn’t genuine change. Though I loved how the entire world dynamic shifts for this second book, one change I didn’t like had to do with Agatha. In the first book, she really grounded the fantastical, questioning accepted norms and consistently calling it like she sees it. In A WORLD WITHOUT PRINCES, she’s much more sucked into fairytale-land and this elusive happily-ever-after concept. Now she’s pining for a prince (and I never quite felt their chemistry) and rearranging her priorities. Without Agatha fulfilling the down-to-earth character role, the book felt much more far-fetched and at times frustrating for the lack of a grounding force. A major factor in my disconnect regarding Agatha’s romance might be that I never pinned down their age. I imagined Sophie and Agatha as 12 or 13 years old, maybe 11 in the last book, but I never caught where that’s confirmed or corrected. What’s going on (both in terms of romance and violence, among other things) feels far too mature for preteens, or at the least very LORD OF THE FLIES-esque. I don’t remember this issue from the first book, but I caught a frequent grammar issue: dialogue tags that aren’t really dialogue tags. For anyone who doesn’t know, a dialogue tag is the “Jane said” or “he shouted” added onto to dialogue to clarify who’s speaking and in what manner. Sometimes writers mistakenly add another action on at the end of dialogue that has nothing to do with speaking. Let me provide examples. “Let’s get Chinese tonight,” Jake suggested. - This is a correct dialogue tag. “Suggested” is a verb that elaborates how Jake is speaking. “I’m so exited,” she jumped up and down. - This is incorrect. Jumping up and down isn’t a type of speaking and, thus, shouldn’t be treated as a dialogue tag. These should be two sentences: “I’m so excited.” She jumped up and down. - or - “I’m so excited,” she said, jumping up and down. Remember that I read an ARC, so hopefully most or all of these instances were caught before the final printing. At least in my copy, though, it happened so much that it suggested a lack of understanding about dialogue tags rather than a simple, singular slip. I felt a little disappointed in the ending. I won’t be explicit, but still feel free to skip this paragraph if you don’t want even vague spoilers. Last time Agatha and Sophie flouted the system, but this time they give in to it. The first book’s ending also found that glorious sweet spot where it could be the end of a standalone novel or the first in a series; it both concluded and left doors open. However, this ending felt obviously unresolved. I’m curious now how many more books are to come. I enjoyed A WORLD WITHOUT PRINCES right from the beginning, but not nearly as much as its predecessor. I worry this might be one of those series that stretches a good thing too thin. Nevertheless, I’m extremely intrigued to see what the next book will tackle and if indeed it will be as thematically focused as the first two: good vs. evil, boys vs. girls. How will this world divide itself next? I have been meaning to read Koch’s bestselling novel THE DINNER since, well, before it was published. I have heard nothing but good things from readers with vastly different tastes who vaguely describe the story as a seemingly simply dinner between two middle class families that gradually unfolds into something far more unsettling. Though I honestly do very much want to read it, I kept pushing THE DINNER farther back on my to-read list to accommodate something else. So when the publisher sent me an ARC of SUMMER HOUSE WITH SWIMMING POOL I (forgive me) dived right in. Already I can see parallels in how I heard THE DINNER described and how I would describe SUMMER HOUSE WITH SWIMMING POOL. For starters, it’s frankly plain difficult to describe any of the plot without giving much away. When you strip your description of spoilers, the story sounds bland, but trust me, SUMMER HOUSE WITH SWIMMING POOL is quite the opposite of bland. Here goes my simplistic summary: our protagonist Dr. Marc Schlosser owns his own practice where he primarily treats celebrities. The book opens after one his patients, the famous actor Ralph Meier, has died and before long Ralph’s wife comes storming into Marc’s waiting room and accuses him of murder. (Maybe that didn’t sound so bland after all!) From there, the book backtracks to tell the story leading up to this outrageous accusation. A great part of what makes this such a fascinating read is that I had no idea if Marc had indeed deliberately murdered Ralph. Right from start, before any dramatic accusations, Marc creeped me out. From pretty much the first sentence, I fervently admired the writing. Koch demonstrates how immensely word choice affects interpretation. For the first few chapters Marc talks more about his practice in general than the conflict with Ralph’s widow Judith. Yet the way Marc talks about his patients unnerved me. He’s so clinical and detached. Brutally, indifferently direct. Even the way he talks about his family (a wife and two preteen daughters) feels overly clinical. From the start the book has a nefarious feel. Did Marc murder Ralph? Has he murdered anyone else? Or is he in fact innocent, nothing more than a doctor growing weary and disillusioned with his job? After all, a callous attitude isn’t proof of guilt, but it does make one suspicious. Brilliant writing. Superb. I know I’ve already mentioned as much, but it bears repeating. Koch really wowed me throughout this entire book with his control of language. And Sam Garrett, I should mention, who translated this from the original Dutch. The writing, and by extension the tone, is what pulled me into this story so quickly and what kept me utterly absorbed until the end. I read multiple books at a time, so it’s especially telling when one emerges from the pile and demands my singular attention. SUMMER HOUSE WITH SWIMMING POOL was one of those books. Less than halfway through, I found myself ignoring the rest of my stack while I finished this one, reading it everywhere I could: at the dinner table, at the gym, while walking down the stairs, etc. Marc is an intriguing protagonist. He makes what I would consider ethically wrong decisions, except he doesn't even think about the ethics of his actions. Instead he focuses on how he can take these actions without any negative consequences. In other words, he focuses on getting away with it rather than grappling with guilt. I don’t find this unbelievable, but it definitely added to the creepiness factor. And it’s one of many themes that make this novel extremely discussion and, hence, book group worthy. The ending strikes a surprisingly different tone than the rest of the book, one that still gave me chills but in a very different way. Of course, I want to avoid spoilers, so I’ll only say that it’s bittersweet and a little unexpectedly heartwarming for such an overall unsettling novel. Add the ending to the list of specifics worth further discussion. SUMMER HOUSE WITH SWIMMING POOL is consistently addictive and compelling. The book commanded my full attention even during simplistic sounding scenes because the writing and psychological implications are so mesmerizing. I expect I’ll still be thinking about this one for a while yet.